So "kin" as in kindred spirits? how did you do that ? hammering it on spine? I wish half of the links from the beginning of the thread worked. Raoh67... anymore pics of how that happened...? I was just curious what kind of tree that is. Thanks. I killed it about 30 times over, lol. The one below shows a very strong edge as I pry it out of the stump sideways. 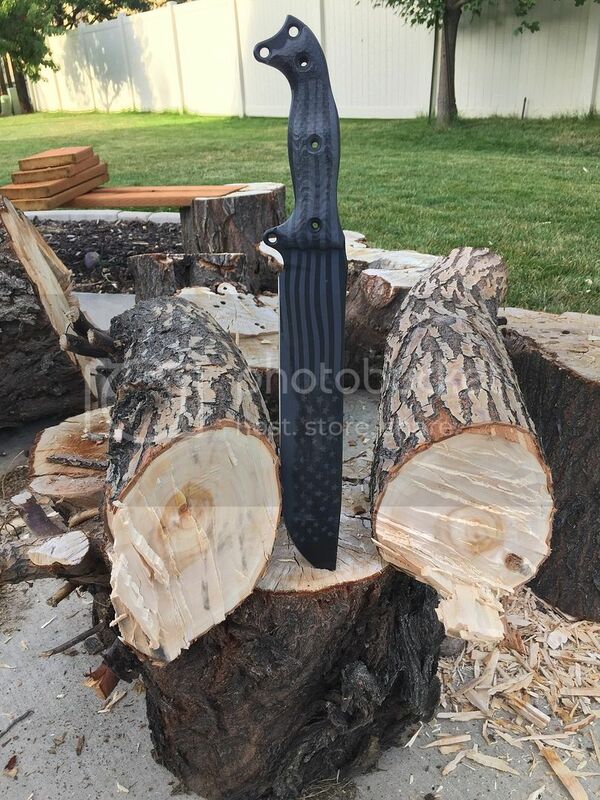 I have broken many knives on that same log doing that. The SHBM laughed at it. Another video of prying the tip out sideways after it is stuck into the wood about an inch or so.